What’s not to love about hens? They have loads of character and like to go about their daily business – eating, preening, flying onto the various perches we offer them, dust bathing, scratching in the mud, and making a huge fuss when they have laid an egg. 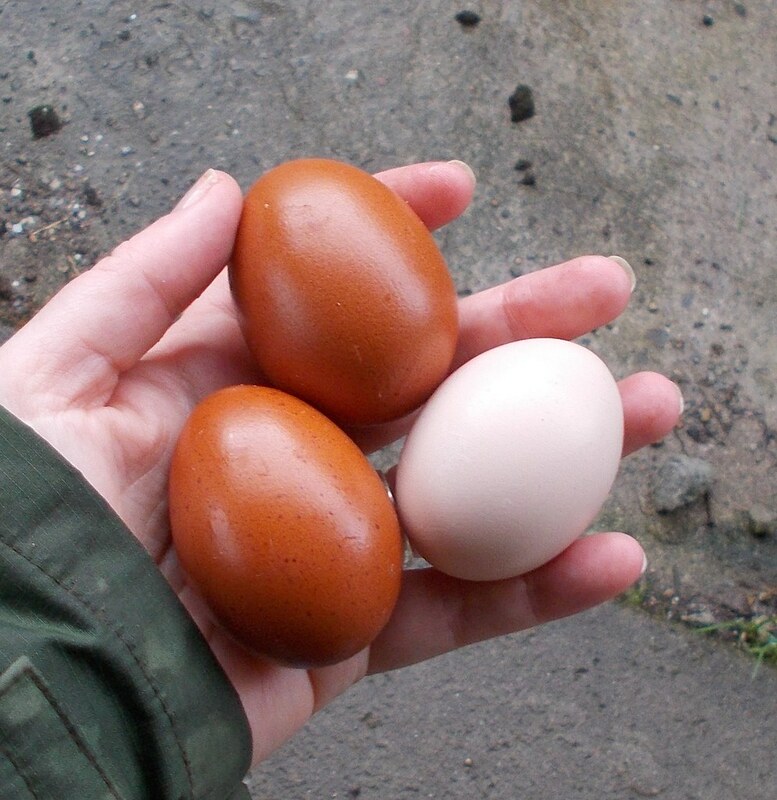 And the eggs… once you have eaten good fresh eggs from a happy hen, there is no going back to the shop variety. 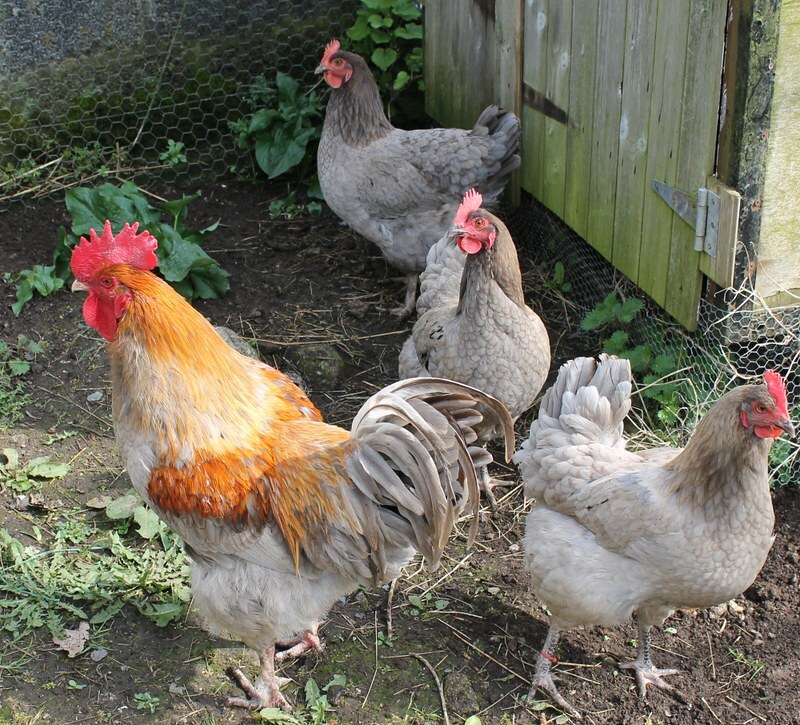 My family have always kept hens, and I always fancied having a varied flock of attractive birds, and collecting eggs of different colours. Having achieved this goal, I am now focusing my efforts French copper blue marans for their beautiful plumage in blue splash and black and their lovely dark brown eggs (shown here alongside an ordinary tinted egg). I usually have birds for sale at point of lay (POL) or younger, please contact me for information.